Small to Medium Size companies are often doing the best they can with managing and reordering materials and products with the information they have. Many times that information is either out of date or the parameters are set using “Rule of Thumb.” The results can be harmful to the operation in the form of numerous stock-outs and excess inventory at the same time. 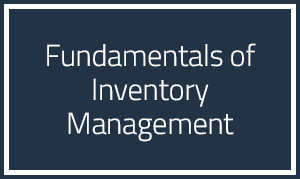 This course is meant to help the attendee understand and use a more scientific, yet simple way of managing inventory and reorder strategy.